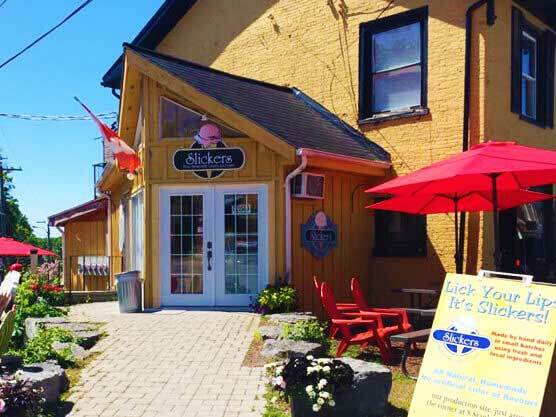 Located in beautiful Prince Edward County, Slickers County Ice Cream is handmade daily in small batches, featuring fresh and local ingredients. Dropping by on those hot summer days is easy, with two locations in Prince Edward County. You can find our store in either Picton or Bloomfield.